About the author: Matt Marcotte works with T&J Supplies as a business advocate and sales leader. Matt managed a high-volume contract production print shop, with national retail clients like Target and Threadless. Matt's experiences provide valuable insight into developing management skills under tremendous pressure. He writes, teaches, builds relationships, and shares knowledge with hundreds of print shops throughout the midwest. Matt is an advocate for systems-based solutions that resolve production problems before they start. You can learn more about him and visit his website at marcotte.ink. “I can’t use any of these shirts. They’re all wrong. You’re going to replace them or I’m going to find another shop!" You hang up the phone. Your blood pressure is through the roof. What happened? How did you not find out about it before the customer did? This story hits home with far too many screen printing shops. If you said the last one, you’re probably lying – or deluding yourself. The overwhelming majority of print shop owners and managers are prone to the first two reactions: anger and blame-seeking. It’s human instinct! Instead of focusing on the single issue at hand, the smartest leaders will look at the mistake as part of a system. If you leave the system in place that created the problem, there is a 100% chance that a similar mistake will happen again. This is where accountability comes into the picture. Accountability is about more than assigning blame or rooting out what caused mistakes. Though one team member may be responsible for a mistake, all parts of the company are accountable for mistakes. Since your brand and bottom line suffer when mistakes happen, your entire business is ultimately accountable for what it manufactures. Willingness to develop systems for production that encourage accountability across your entire team. Accepting that your role as a manager or owner is to create systems for accountability. As your team’s leader, you create a culture of accountability with your actions and habits. You have to talk the talk and walk the walk, day in and day out. This is basic leadership: take the wins, own the losses – consistently. If you’re the first person to take accountability for a product error made by your team, you demonstrate integrity. This means you take credit for things that go really well – but you fearlessly tackle errors when they do occur. But accountability means taking it a step further: you don’t just fix that error, you fix the process that created the error. Ownership and accountability means caring about process as much as you care about outcome. It doesn’t mean you never interrogate someone that made a mistake. It doesn’t mean that everyone in your shop just funnels blame onto you. It means you find the source of the problem and create systems to prevent that same problem from recurring. Setting a high bar for professional accountability starts with constant improvement. When that big client hangs up the phone, you don’t get mad or start blaming people. 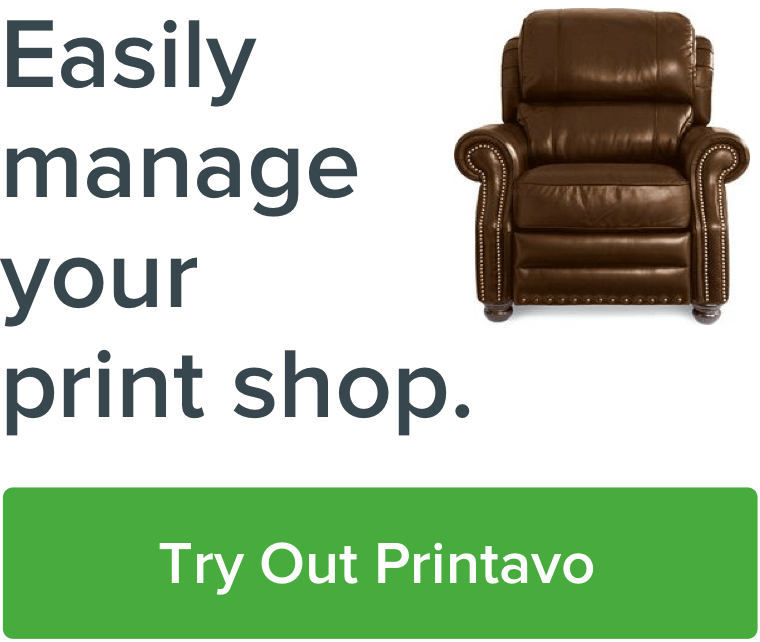 You find a way to improve your printing process. Yes, it’s inevitable that you will like some employees more than others. That, too, is human nature. You can’t control that. What you can control is the system that holds every employee to account. You don’t want employees in your printing department held to different levels of accountability for a job than your screen department or your quality assurance department. By keeping your employees universally accountable no matter how much you like them or how valuable they are, you create an open dialogue around process improvement. You want a culture where openness about the process and candid truth-telling about production is natural. Employees should feel comfortable “stopping the line” if problems happen, and shouldn’t feel like they need to hide from or be afraid of consequences if your production system breaks down. You have to remain vigilant in your leadership and accountability. To develop accountability across departments, keep your communication clear and your expectations out in the open. Have concrete goals around spoilage and errors. Develop a documented process for mistakes that isn’t “getting in trouble” but is instead about “improving our business.” Revise and update your strategy for accountability early and often – at least every business quarter. You do not tell someone they are accountable. You give them the tools they need to be accountable and successful, then they accept accountability. Clear written expectations about their specific responsibilities. Frequent discussions about whether they have everything they need to complete their role in the production process. You can structure this process with two very simple questions. The first is this: “What is something that went wrong recently?” The second piggybacks off the first: “What would you need to solve that problem in the future?” The people on your production floor can answer questions about process faster than you can – because they live with your process every day. You accomplish accountability when your employees are comfortable showing you small gaps in their knowledge or your process that they’ve observed. When an employee plays a role in improving your business, they feel pride and a sense of ownership. Autonomous, accountable employees naturally seek to improve production systems. Once an employee accepts accountability, they become invested in the outcome and contribute their unique knowledge to resolving problems. I told you that would happen. Well, I wasn’t trained to do that. If the boss finds out about that problem, we are so screwed. I didn’t know that would happen, but I want to find out why it did and how to prevent it. I wasn’t trained to do that, but I could learn – or find out who can help me. That isn’t my problem now – but it could be, so I should learn how to help. I want the boss to know about this problem so we can find a way to prevent it. For a team with accountability, tackling challenges is fun. For a team without accountability, a problem causes complete paralysis. An unaccountable team will literally try to hide production mistakes (which is basically the worst thing that can happen). I ask a lot of print shops that I visit about when they last did employee check-ins. Too often, there’s a stammering answer like, “Uh, last year. We’ve been too busy to stop everything and talk." That's wrong. It's your job to provide the space and time to optimize your operations. You can use weekly or bi-weekly check-ins to have a structured conversation about how well your shop is operating. Find problem areas and gaps in your systems. Go to the source and find out the problem. Does your job description hold anyone else accountable beyond you? (I'm guessing not!) Checking your own quality of leadership with regular reviews and discussions keeps development and learning on your mind. If you're constantly improving and always on the lookout for ways to become better, you're in the right mindset. Now that we have begun laying the framework for accountability in your print shop, you can start fine-tuning the specifics you'll need from each department. This is part 1 of an ongoing series written from my knowledge and experience running large screen printing shops for high-volume clients with demanding turnaround times. It's called Managing Screen Printers. Next time, I'll dive in and discuss stop-gaps and concrete processes to create safety nets for your printers. You'll spot and fix mistakes as they occur, and create systems to help you do this easily. Stay tuned and keep laying down that ink!